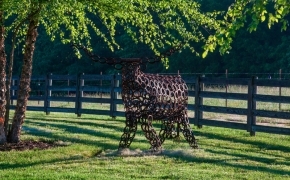 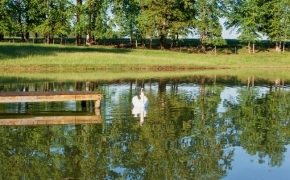 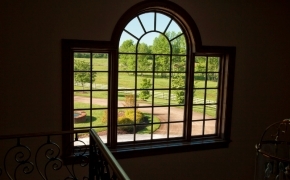 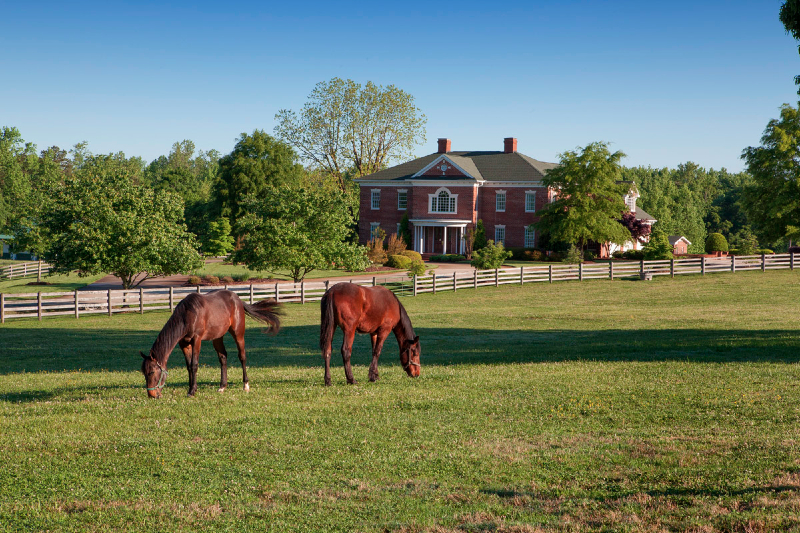 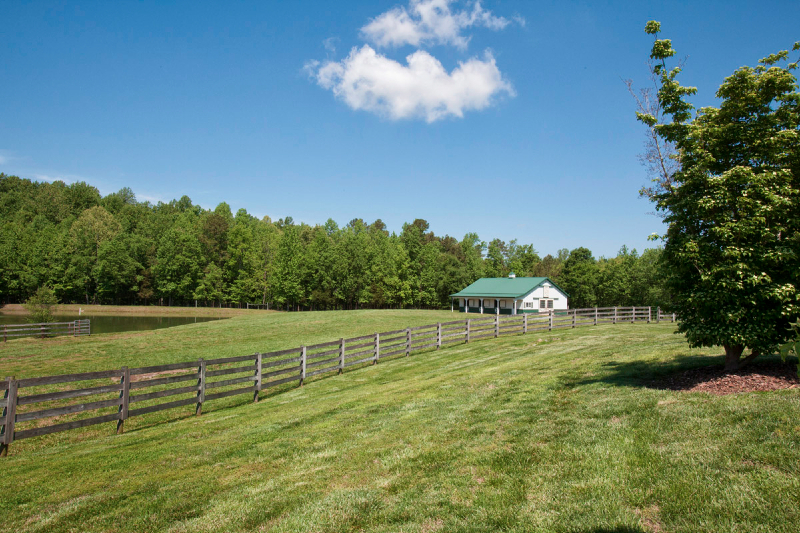 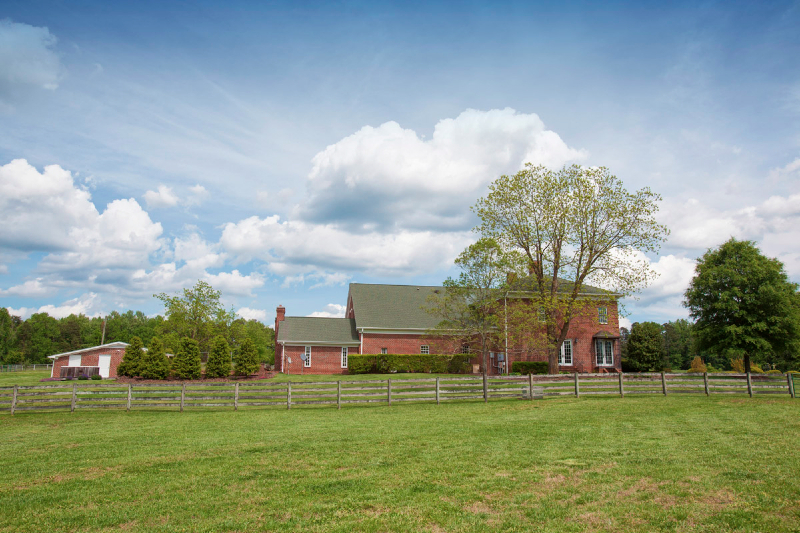 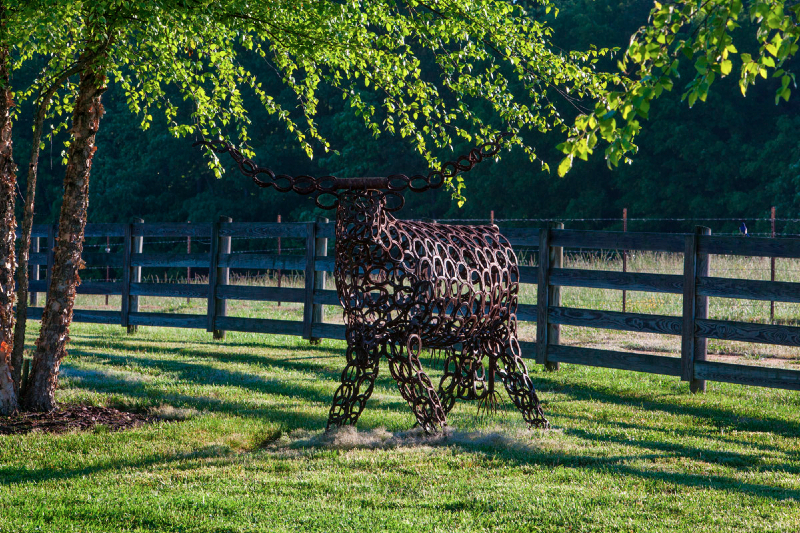 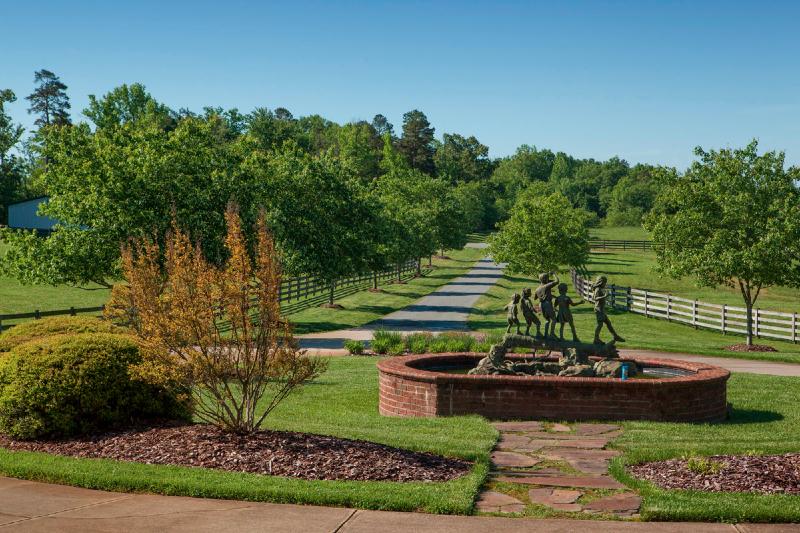 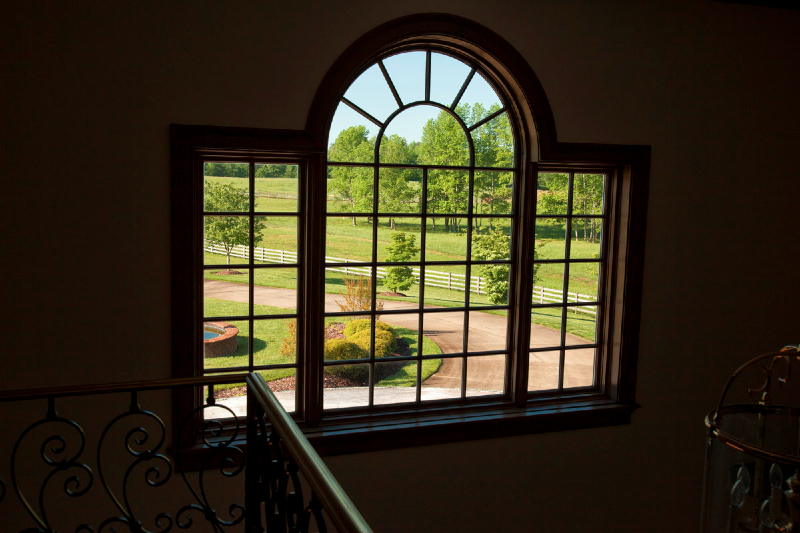 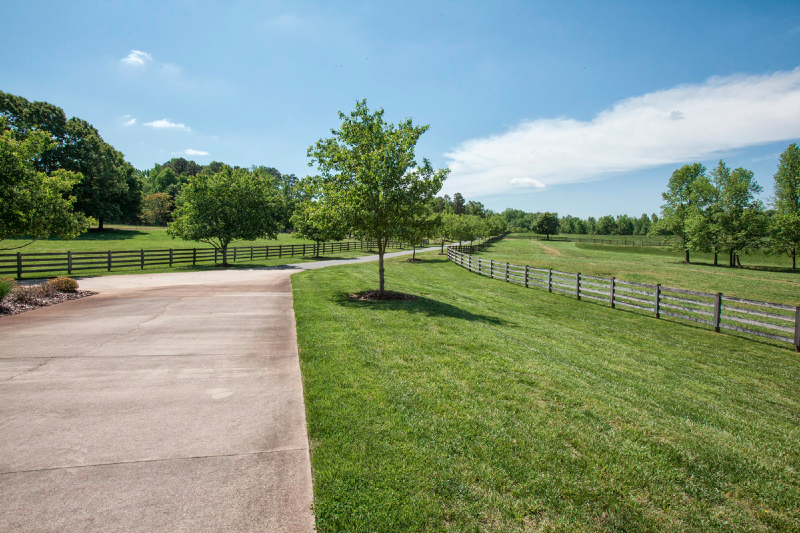 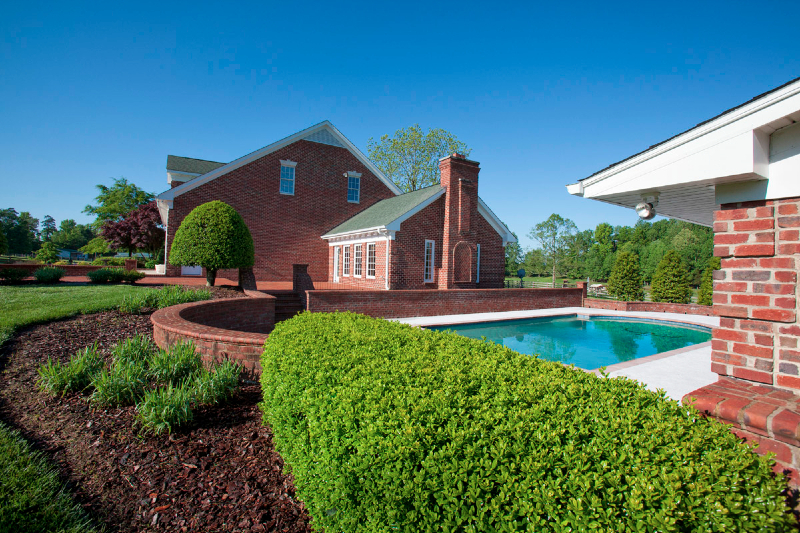 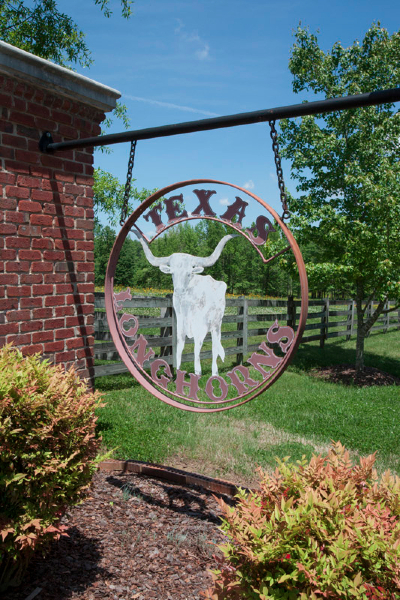 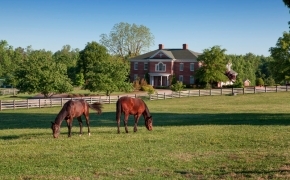 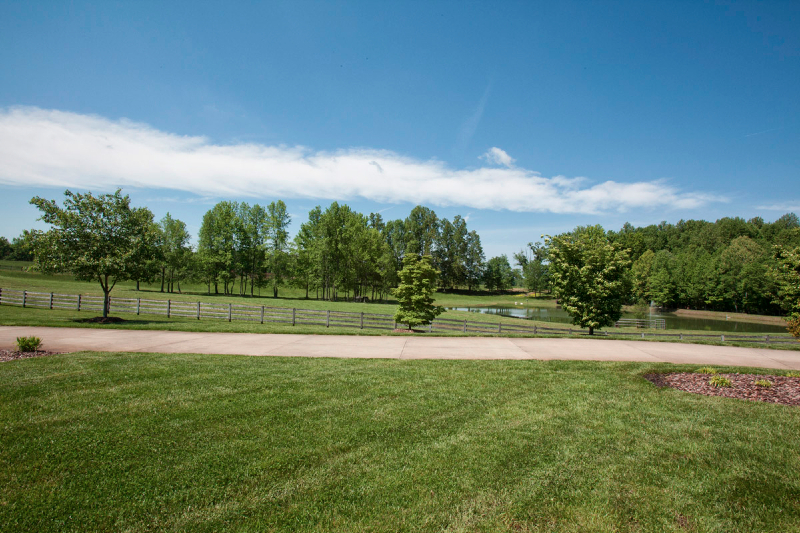 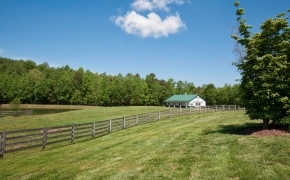 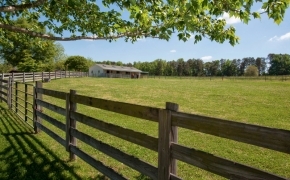 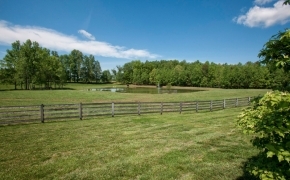 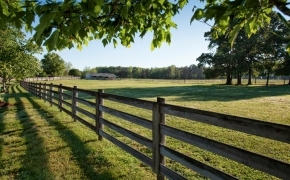 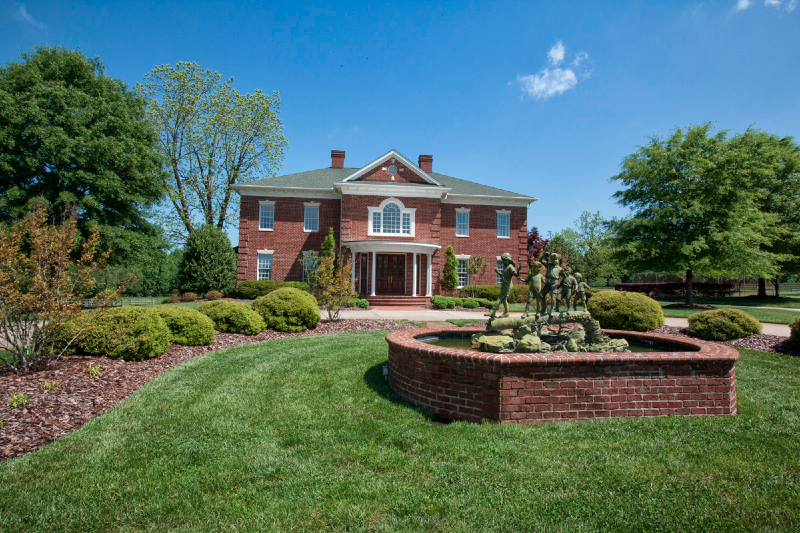 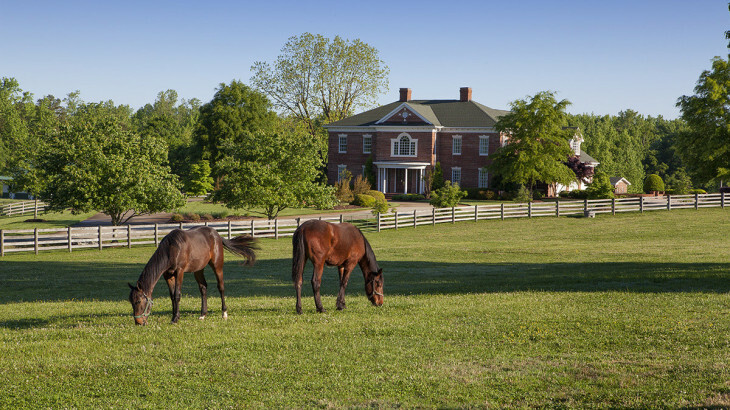 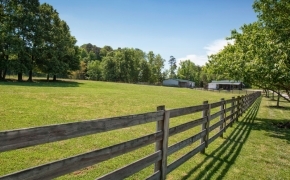 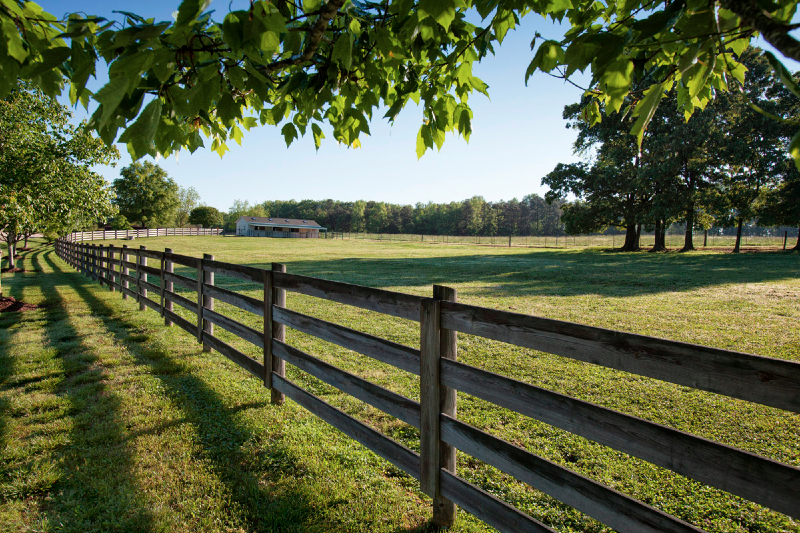 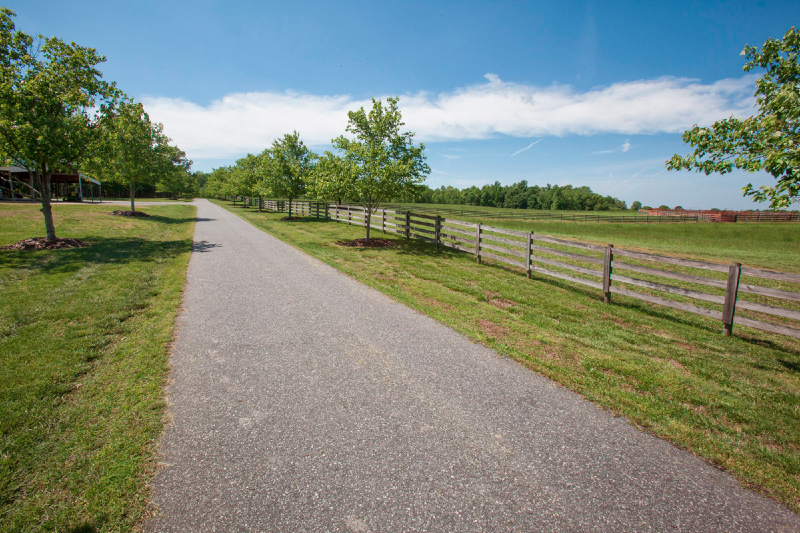 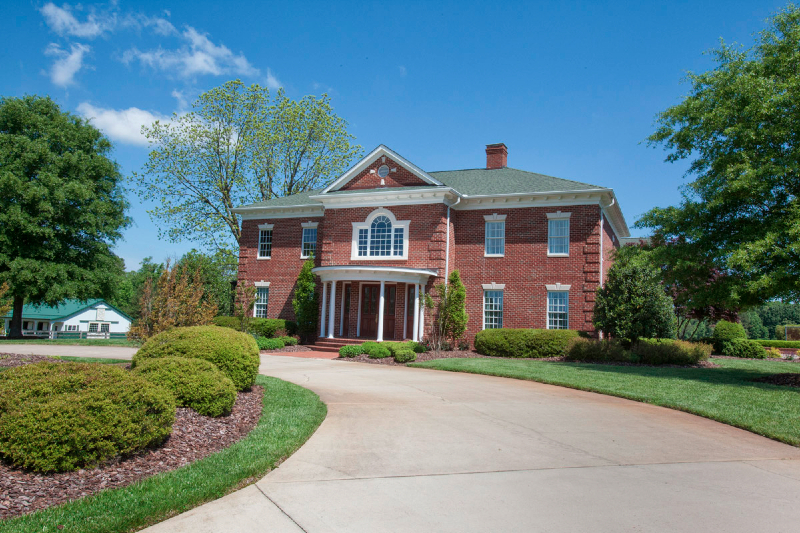 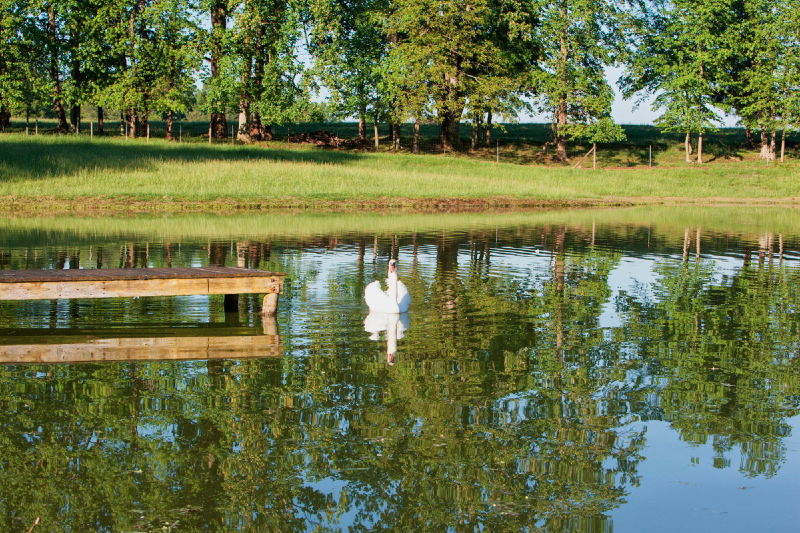 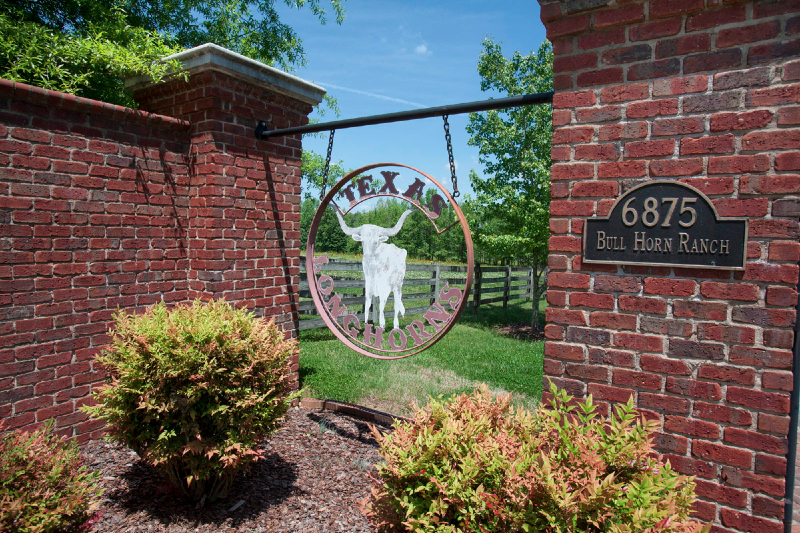 Welcome to the The Bull Horn Ranch, an exquisite Guilford County horse farm for sale in Liberty North Carolina. 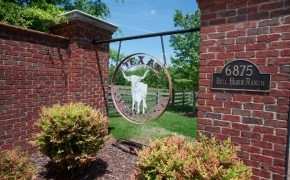 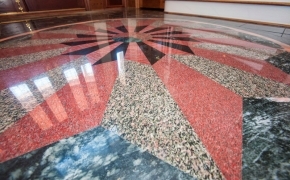 (PAST MARKETED-PROPERTY NOW OFF THE MARKET) $1,495,000.00 The Bull Horn Ranch is an exceptional property that includes approximately 68 acres and a spectacular one of a kind brick home. 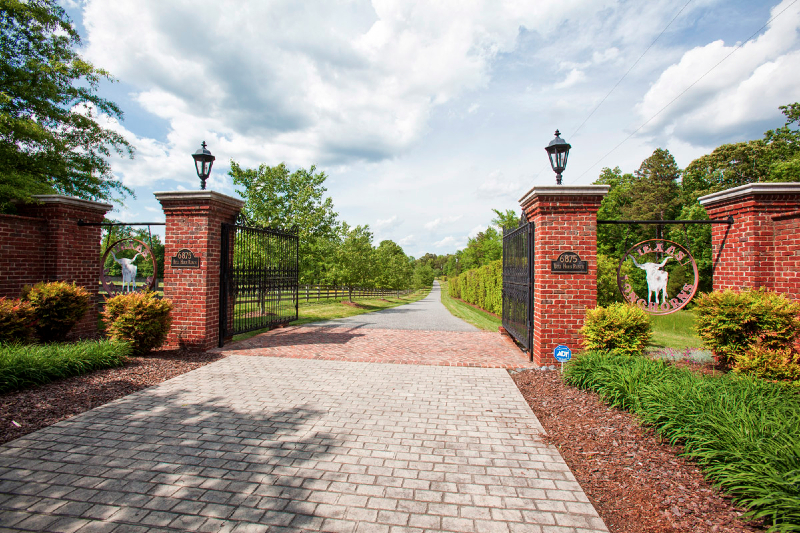 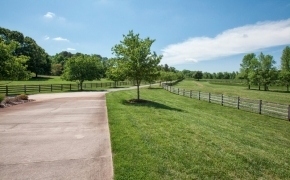 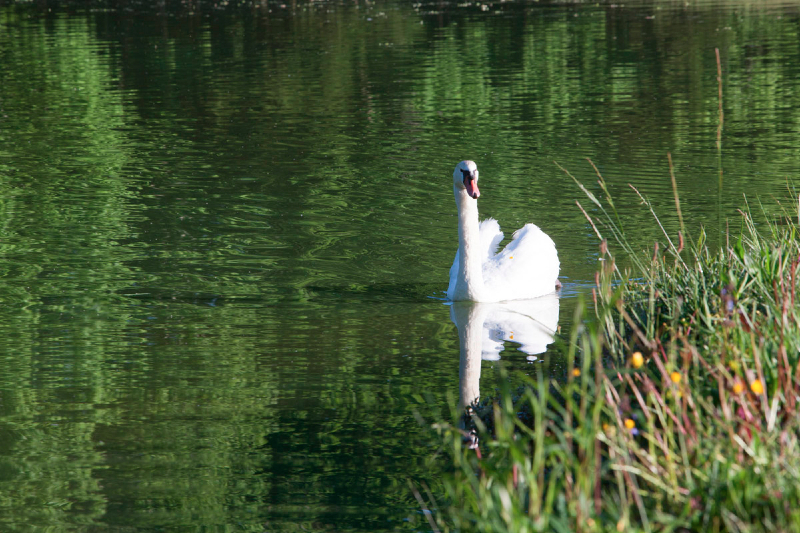 Driving in the gated and landscaped entry, the well-maintained road leads you through beautiful scenic views of pastures and ponds. Arriving at the main house, the scenes are like out of a movie set, with the home resting atop a scenic hill surrounded by trees, a fountain & coy pond, and fenced pastures. 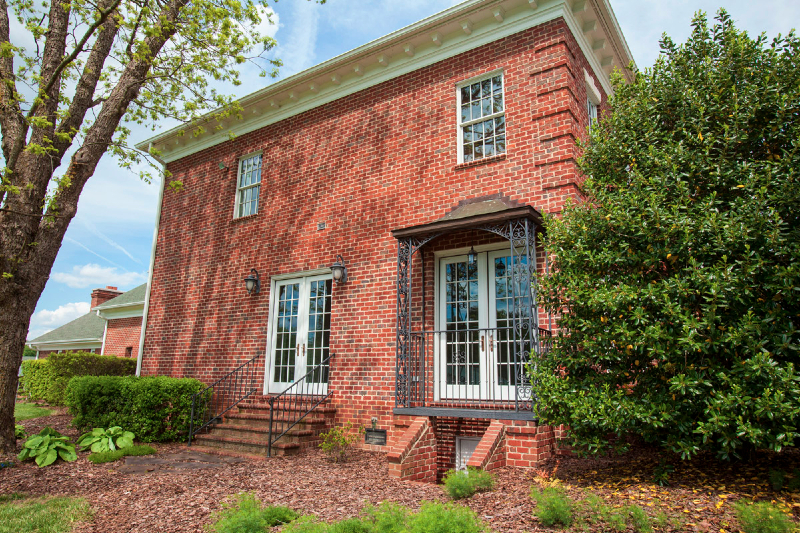 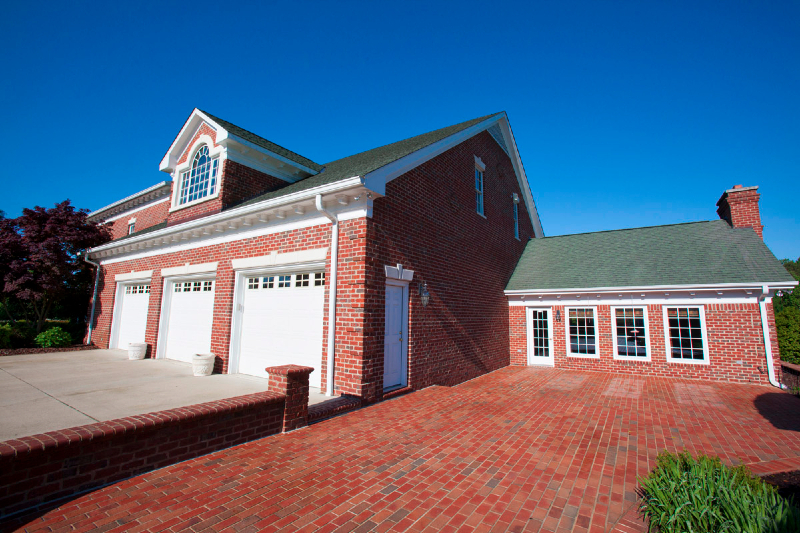 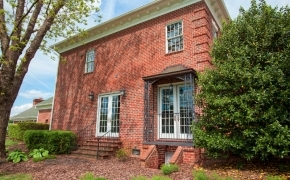 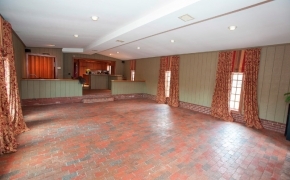 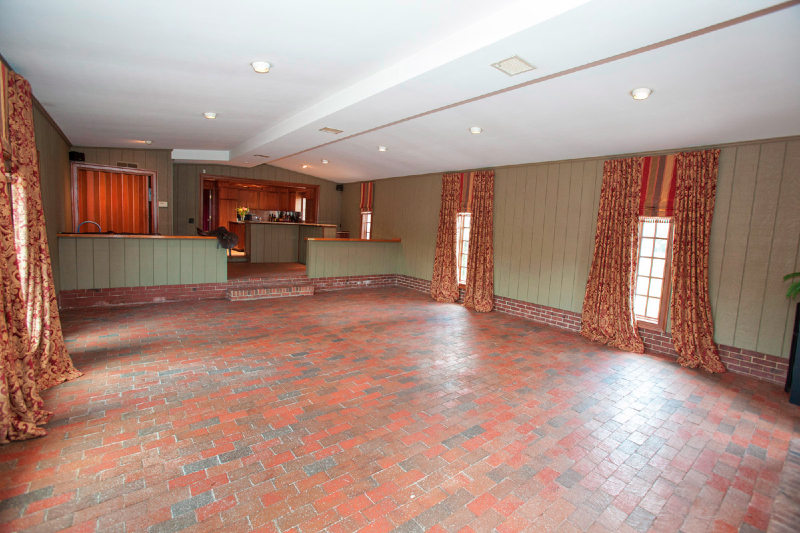 The brick estate home (actually built around an adjacent farm home that once stood here), is now surrounded with the finest amenities and improvements available. 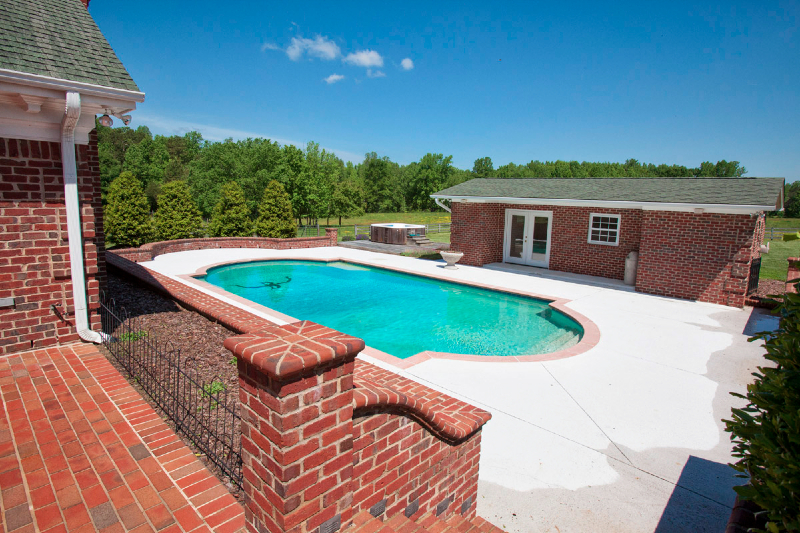 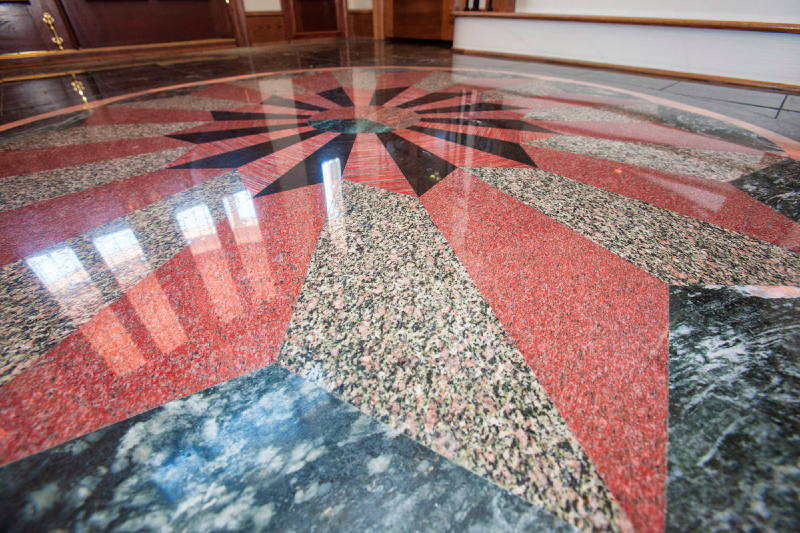 There is a pool, Jacuzzi and tennis courts, and more. 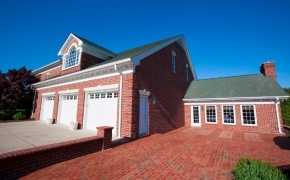 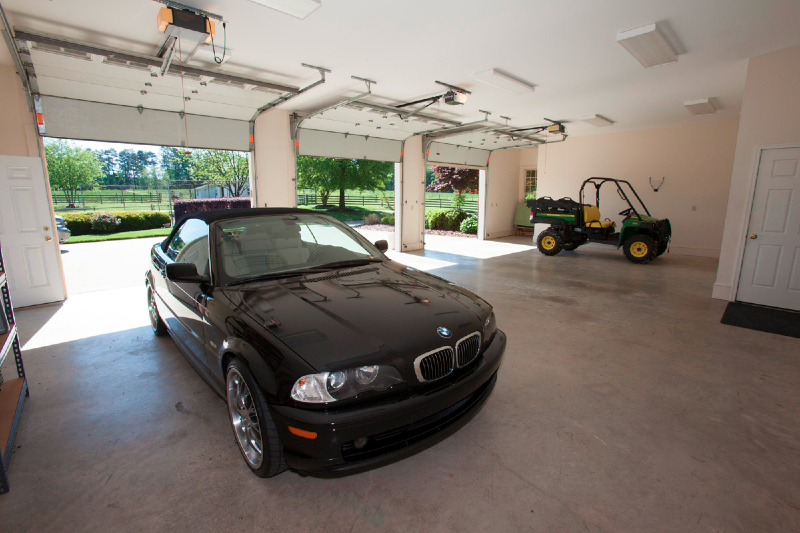 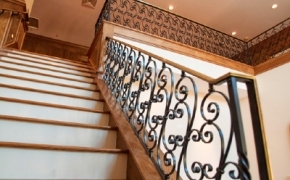 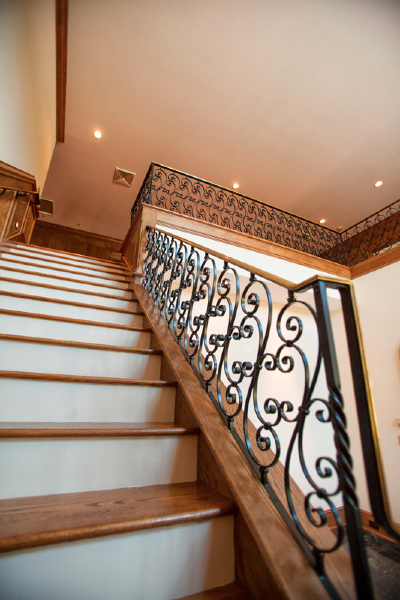 The 3-car garage with electric doors offers plenty of space for the vehicles and or recreational transportation, and there is a beautiful salt-water pool outside with private pool house and dressing areas.Walking in the home, the amazing foyer features heated marble floors, and a custom iron rail staircase leading to the second floor. 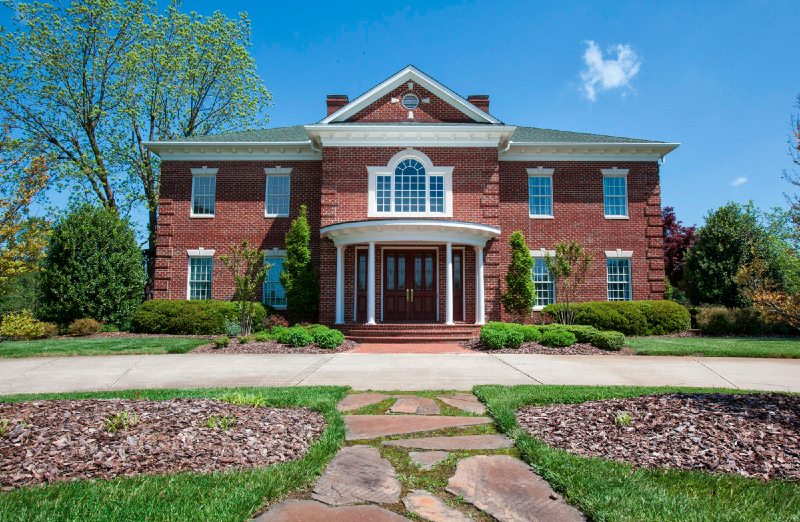 The interiors are elegant, and with approximately 6500 sq ft of heated space, the home offers plenty of rooms for a large family and entertaining. 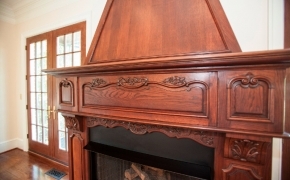 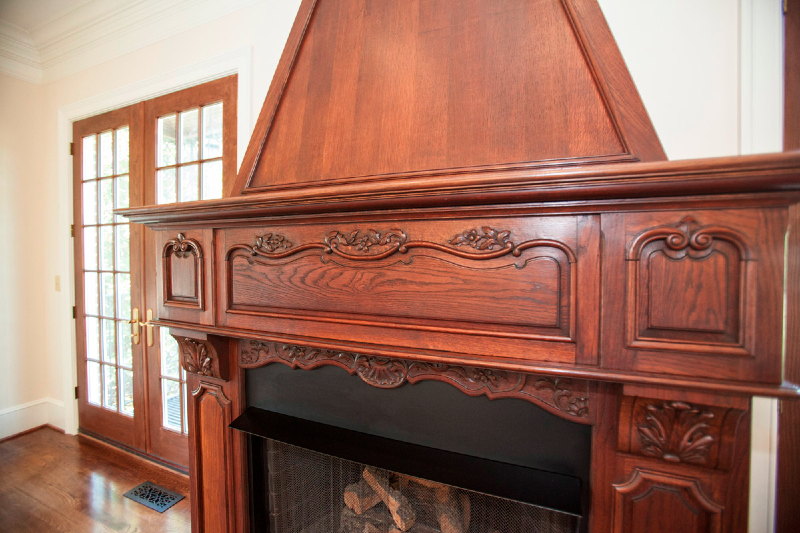 There are antique fireplace mantels collected from auctions across the country that accent the spacious dining room, and master bedroom fireplaces. 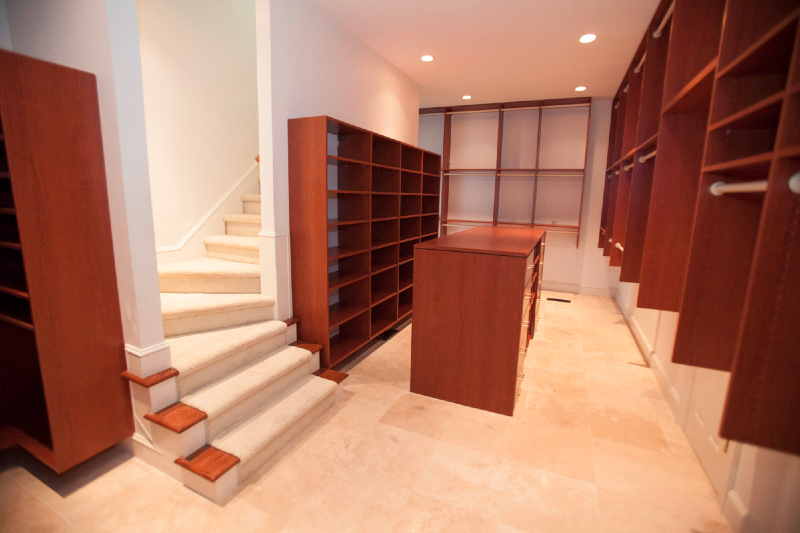 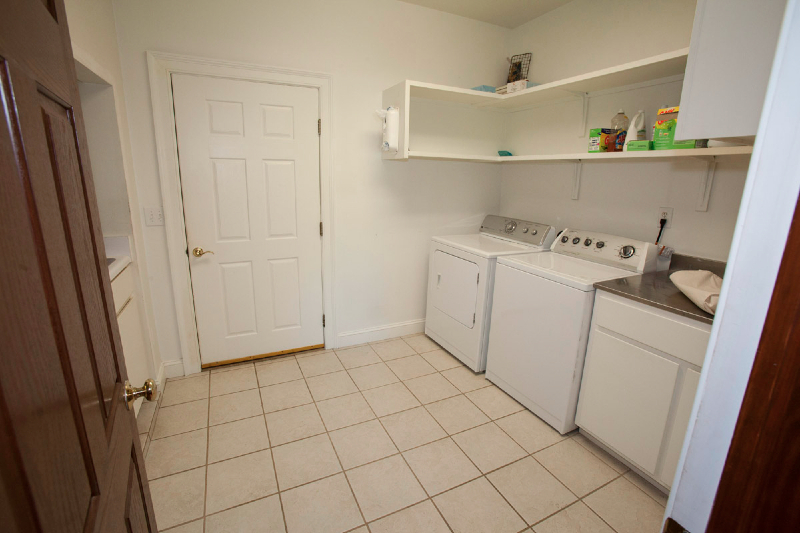 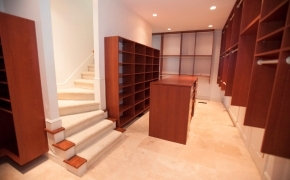 There are 2 extra large his-her closets off of the master (on both the first and second floors) that feature custom shelves and private baths. Moving upstairs by the staircase, the 2nd level landing area features a full sized bar, collected and acquired from one of the original Darryl’s restaurants. 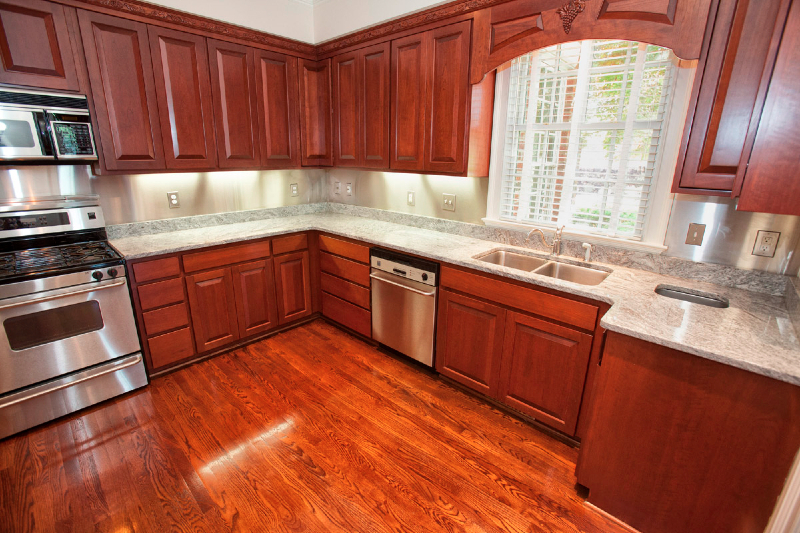 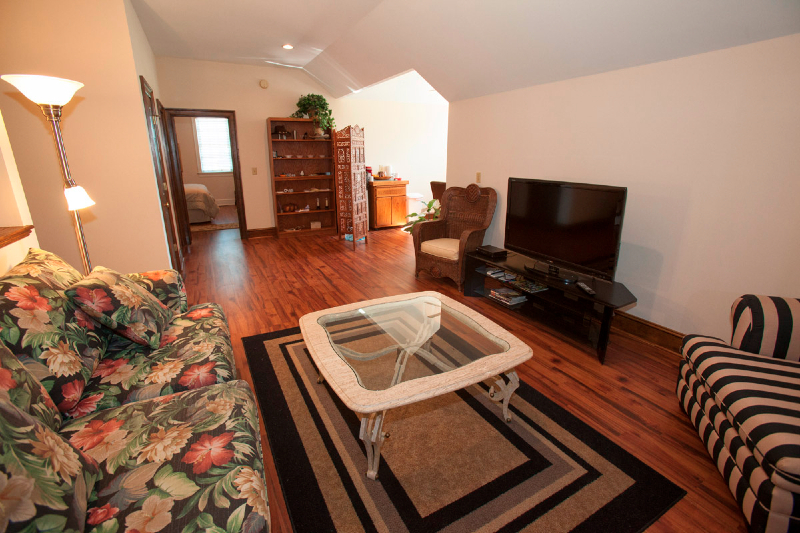 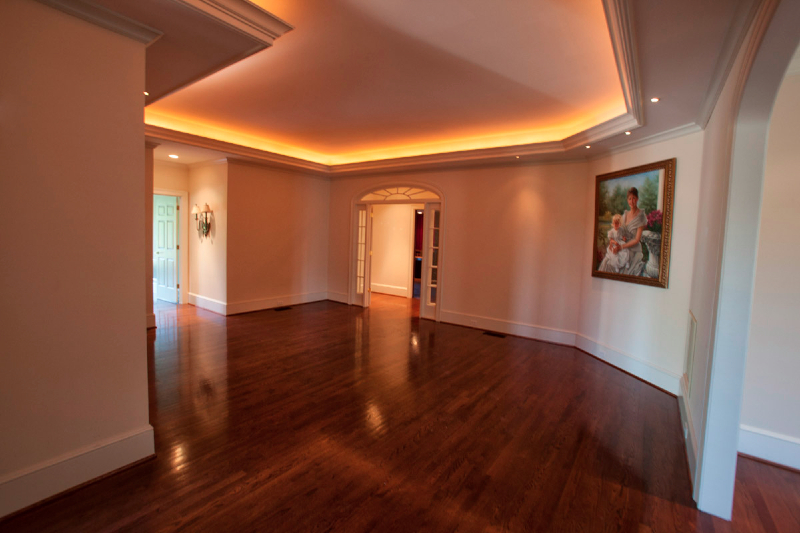 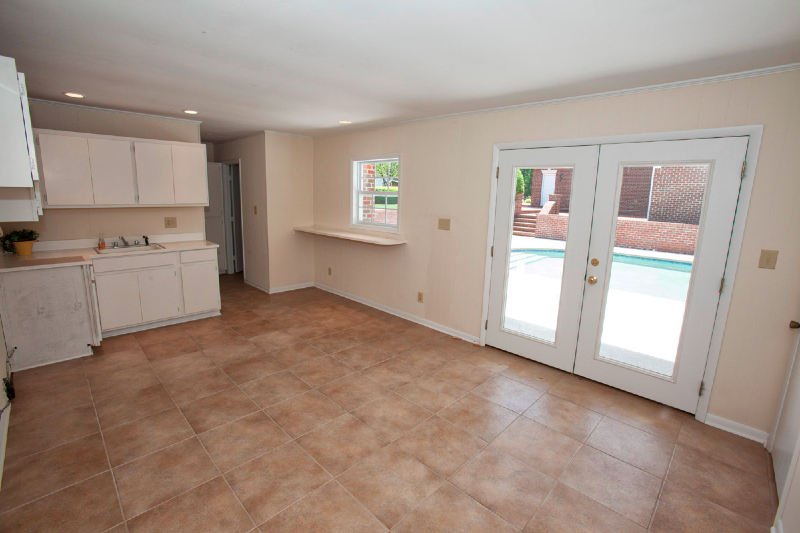 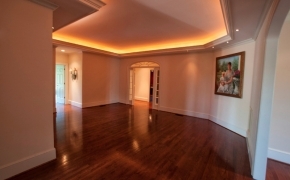 This room has plenty of sitting, dining, and entertainment space. 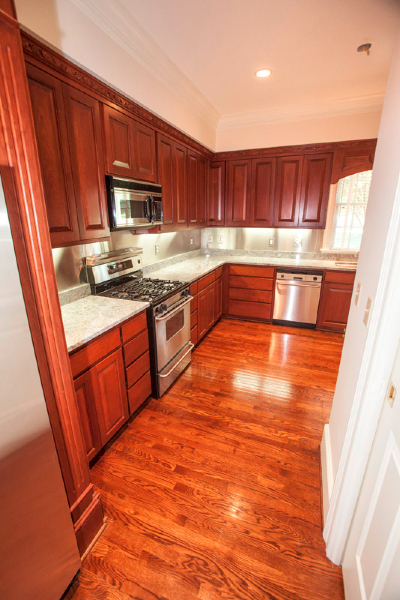 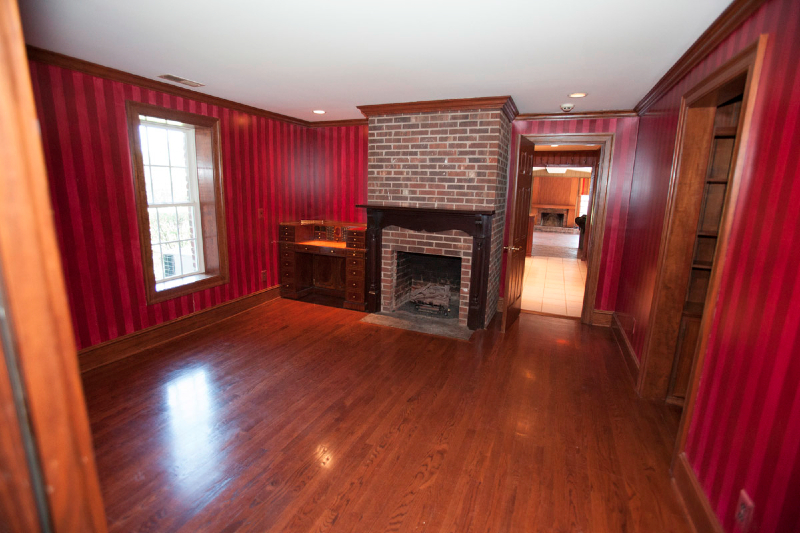 Moving to the back of the home, there is a sitting room, with fireplace and antique work desk, and then the second kitchen that is also well equipped for cooking and entertaining. 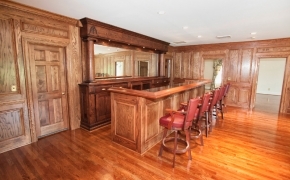 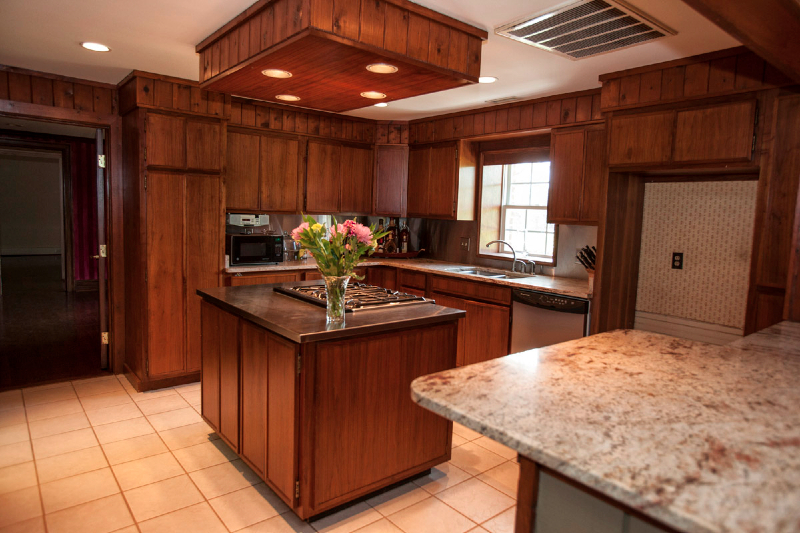 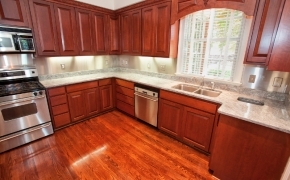 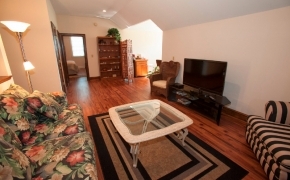 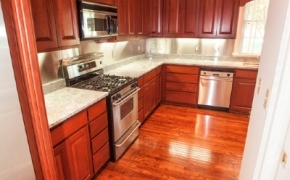 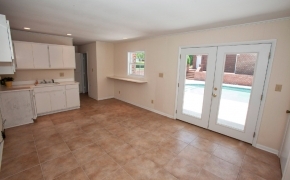 There is a large den adjacent to the kitchen with bar area, fireplace, and walkout to the patio, pool and tennis courts. 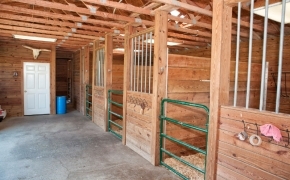 Moving outside, there are several barns. 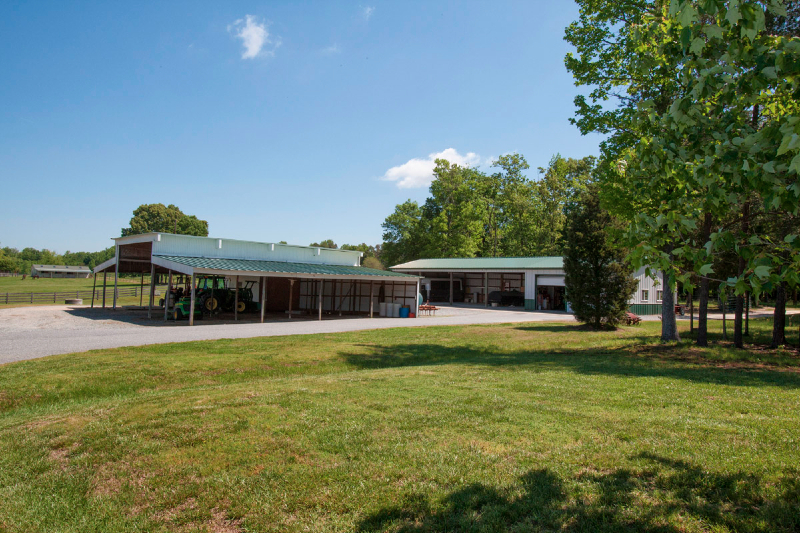 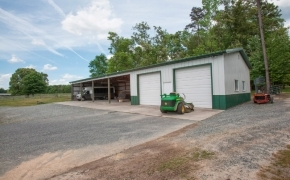 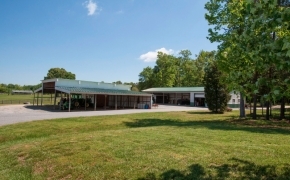 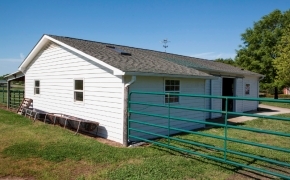 One of the horse barns features 4 stalls and a feed room, another large barn has several stalls, and storage, and adjacent is a great fishing pond with fountain. 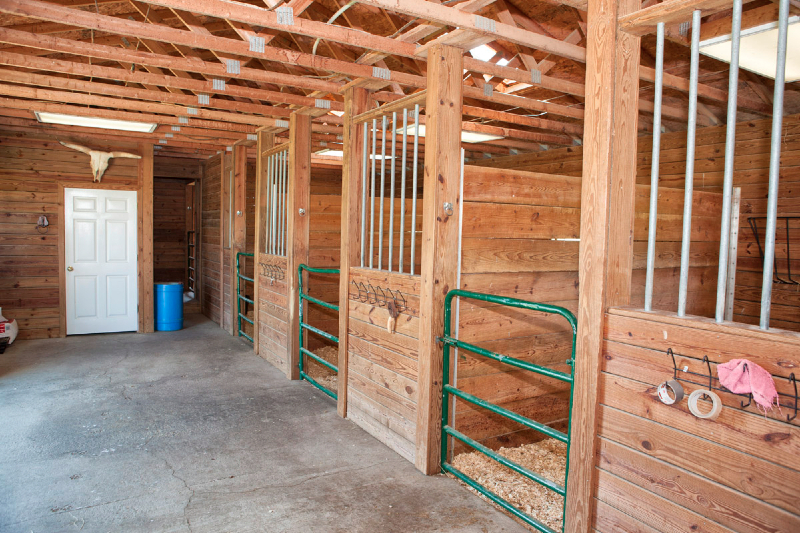 There is an additional extra large hay barn and storage barn and the entire ranch is fenced with plenty of riding areas for horses and/or for a cattle operation. 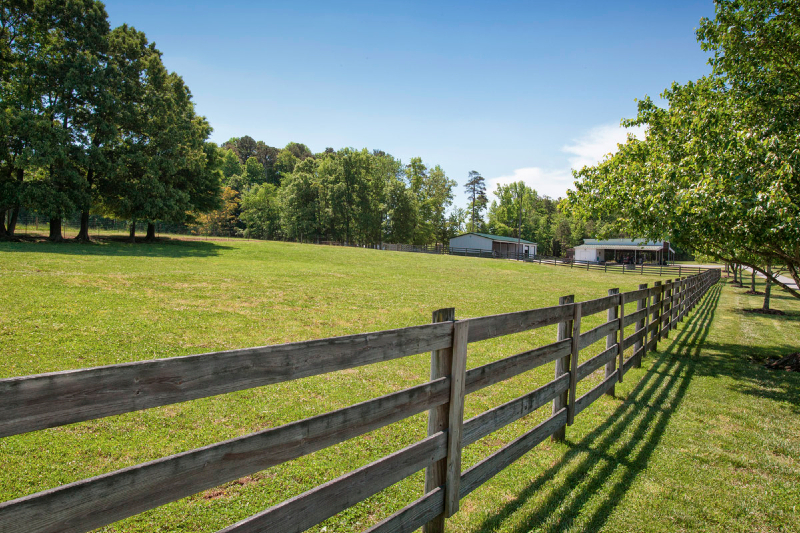 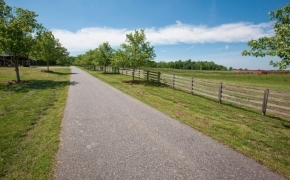 For additional information on the Bull Horn Ranch in Liberty, contact Gardner Reynolds or Frank Gombatz today at 919-749-3177 or 919-696-4249. 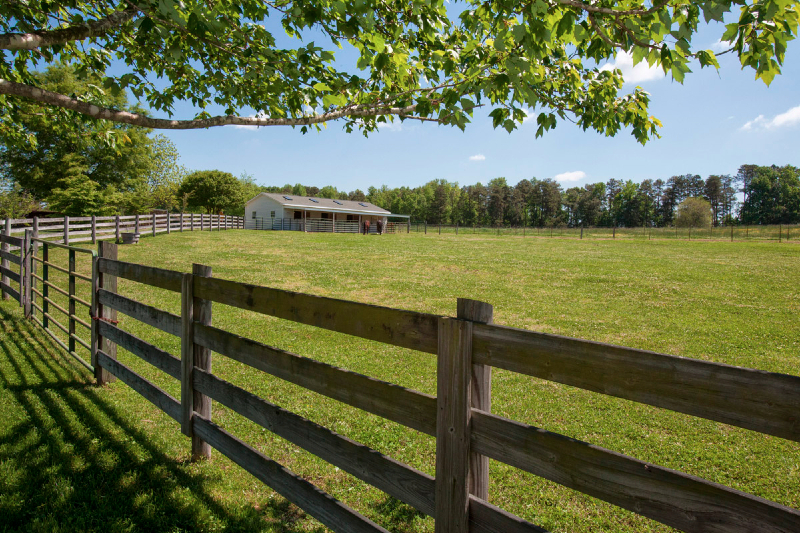 If you’d like to see your farm or ranch featured on Legacy Farms and Ranches website, contact Gardner Reynolds at 919-749-3177 for details. 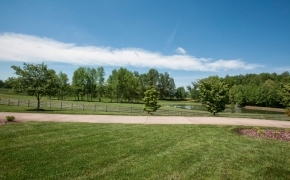 Download the property brochure here. 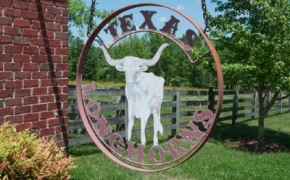 Watch the Bull Horn Ranch video below. 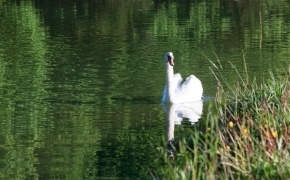 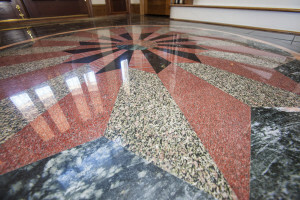 Click on the center arrow to view.